Family Portrait Photography Studio in Wirral, Hoylake. Covering Cheshire and Merseyside. Our Portrait Sessions are for anyone in the family; parents, siblings, aunts, uncles, cousins, grand parents and even your pets. Prior to your session we will discuss any special requirements and who will be in the photographs so our studio can be prepared accordingly. Use the contact form below to ask any questions or provide some additional information for your session. The sessions take place in the relaxed atmosphere of our studio and generally last about 1.5hrs. Well, having two of my own children I know first hand how difficult it is! Therefore we take our time to make sure they look in the same direction and smile all at the same time. Don’t worry if they don’t! This is why our photographs are mostly natural and not staged. 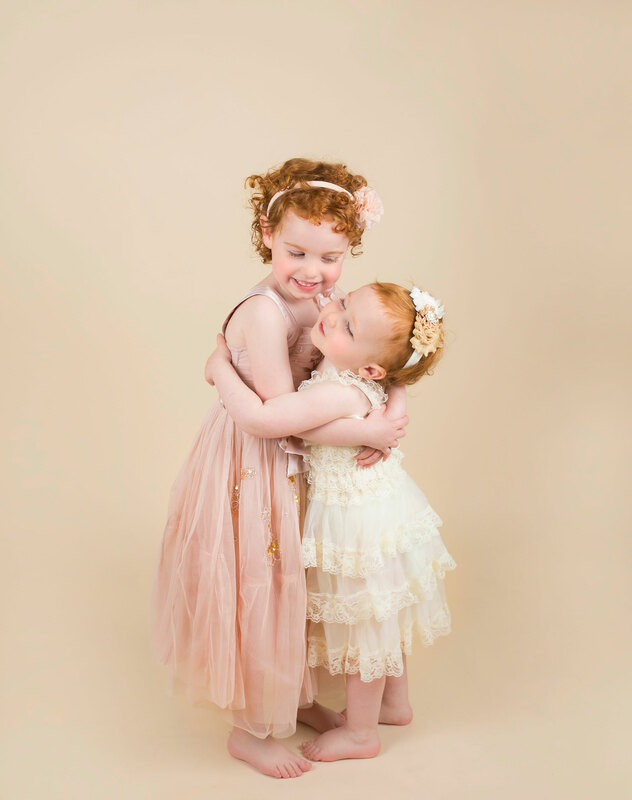 We are passionate about capturing your children’s personality in the photographs. This is the reason why we make the photo session like a fun playtime for them. Also we always make sure they are relaxed and enjoying their time. For instance we offer breaks during the session which are helpful for children with additional needs. The studio is situated across the road from a local authority Play Area. You can you always run off some energy before hand, during or after the session. Above all we don’t want you to feel stressed during the session, as this shows in the photographs.